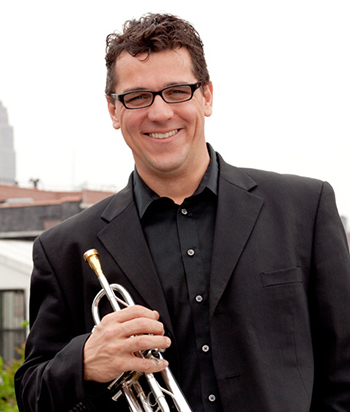 "Eric Berlin has all the elements people expect from a good trumpeter – boldness, big sound, impressive technique - as well as the things that make a complete musician: tonal variety, ability and willingness to blend, and expressiveness." These defining qualities of his playing were summed up in the American Record Guide review of Mr. Berlin's first solo recording, "End of the Matter: Premieres for Trumpet" (MSR Classics). While not performing and teaching, he can be found running, hiking and biking in the Rocky Mountains and Western Massachusetts where he lives with his constant companion Reuben the wonder dog. Eric Berlin is a Yamaha Performing Artist.